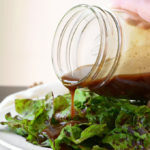 Homemade Thousand Island Dressing – Now you can enjoy the fresh, sweet, and tangy flavor of this classic American dressing FREE from all the chemicals and preservatives of the bottled stuff! 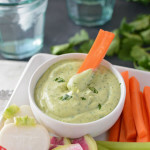 Instead of yammering for the next few paragraphs about how yummy and delicious, and oh-so-good my Thousand Island Dressing is (which is true, by the way), I’m going to nerd out a little bit and talk about the interesting history of the dressing. 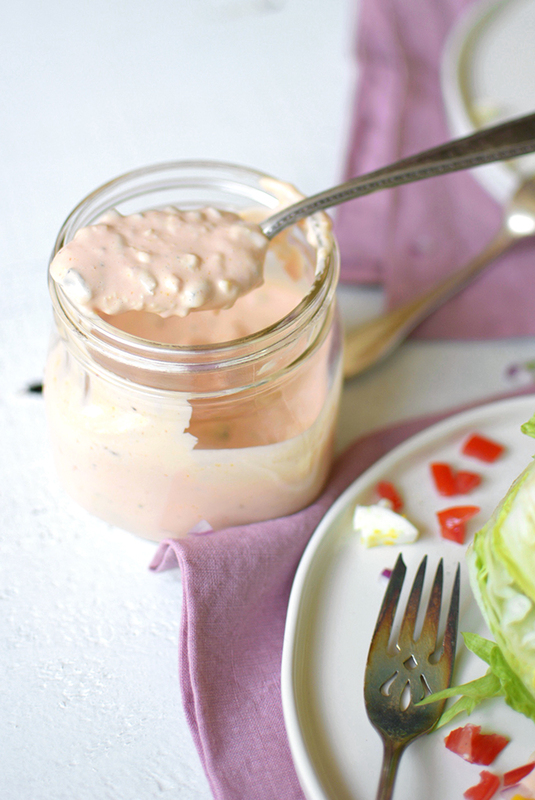 Many people confuse Thousand Island dressing with Russian dressing. The truth is that they’re pretty similar, yet also decidedly different. In fact, chances are that your neighborhood deli may be putting Thousand Island dressing (instead of the traditional Russian dressing) on your reuben. 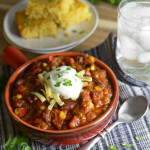 Its mild and sweet flavor appeals more broadly to the American palette. Makes sense, though, as Thousand Island dressing is a product of American ingenuity. I like both dressings, to be truthful. They find their commonality in their preparation with mayo and ketchup or chili sauce. Also, Russian dressing typically contains some yummy horseradish. Since I’m currently nursing my 4 month old, I’m shying away from horseradish. It has the potential to cause tummy and supply problems for baby and mom. 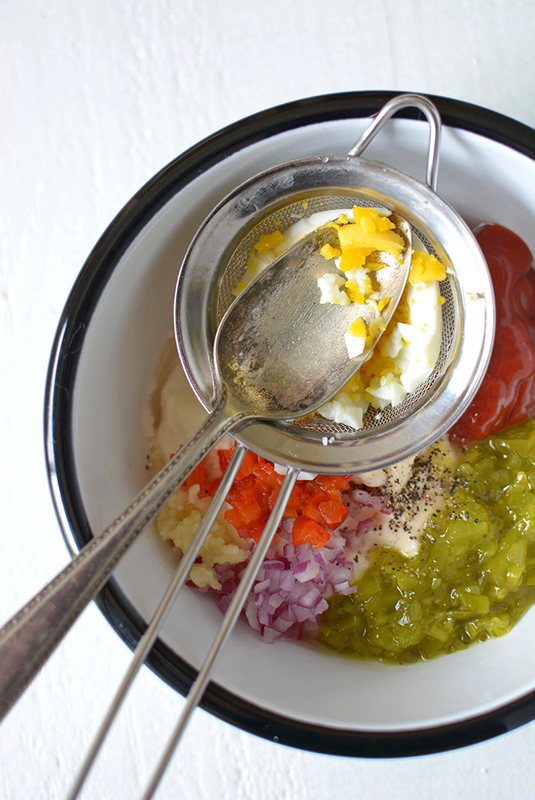 Uniquely, Thousand Island dressing typically contains a sweet pickle relish and egg. I had never considered smashing egg into a dressing before! I drove through the Thousand Islands once on my way to visit family in Canada. It’s a magical landscape dotted with islands. I can just imagine tasting this delicious salad dressing for the first time, surrounded by all that beauty. No wonder Mary Irwin felt so inspired! My affinity for the dressing hasn’t always been such. As a child, every Sunday afternoon my dad would make a large salad with iceberg lettuce and pickled red beets. He’d then smother it with Thousand Island dressing. I was skeptical of the pink, salmon-like color. Normally I’m not one for sticking my nose up at trying something new, but it was a full twenty years later until I tried the dressing. I ended up instantly loving it (even with the iceberg lettuce and pickled red beets)… I think you’ll love it too! Now you can enjoy the fresh, sweet, and tangy flavor of this classic American dressing FREE from all the chemicals and preservatives of the bottled stuff! 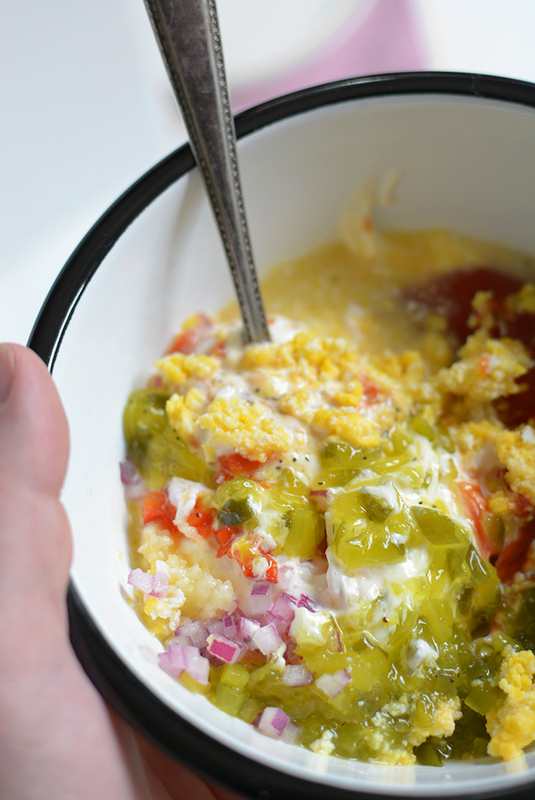 Combine all the ingredients together in a bowl. For the hard boiled egg, press it through a fine-mesh sieve so that it is in very tiny pieces. Stir all the ingredients until evenly combined. 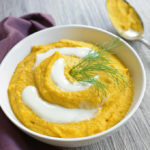 Serve the dressing immediately or store in the refrigerator up to 5 days. 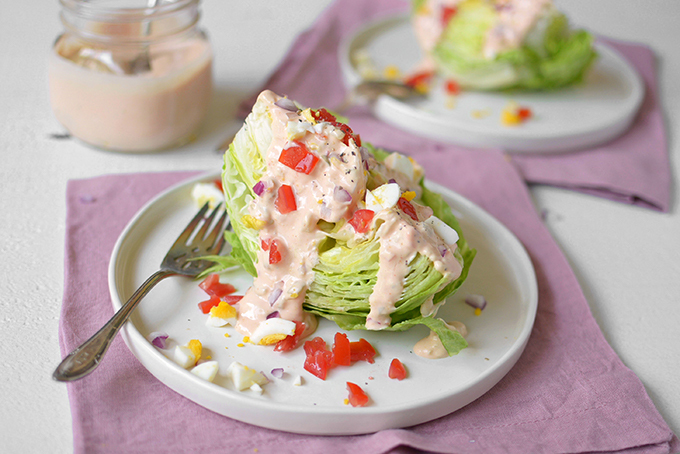 To make the wedge salad pictured, cut a head of iceberg lettuce in quarters. 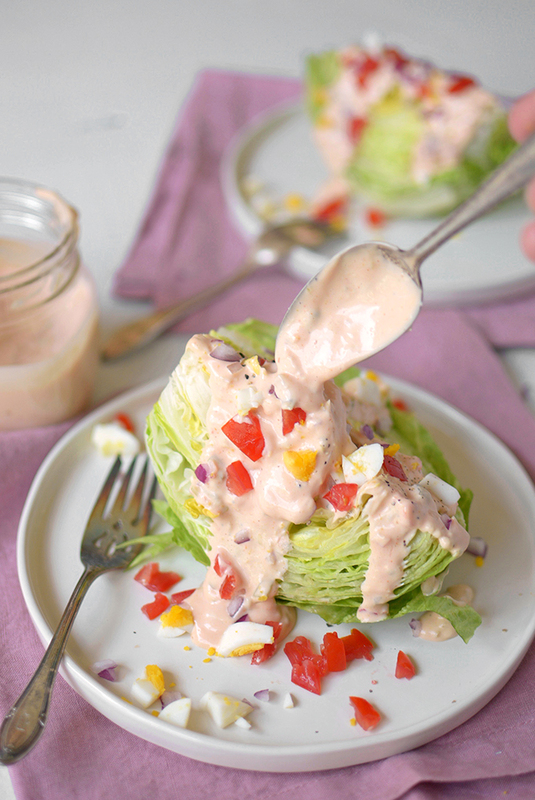 Top with homemade Thousand Island dressing and garnish with diced onions, tomatoes and hard boiled eggs. My husband made Reuben sandwiches with thousand island dressing on them a few days ago, and all of the store bought options were full of so many icky ingredients – THIS is the way to go! 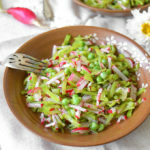 This dressing is the REAL deal! Oh, and it’s so much more tasty then the bottled stuff! 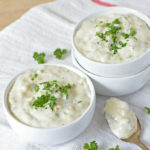 A dressing I would enjoy a lot, I will keep it in mind. Homemade dressing are the best! 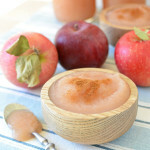 I made this dressing to put on sandwiches for my kids school lunches, they loved it! So much better than that stuff in a jar. Thanks for sharing! 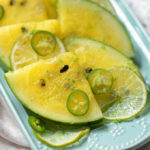 Sam, thanks for letting me know that you and your kids enjoyed this recipe!